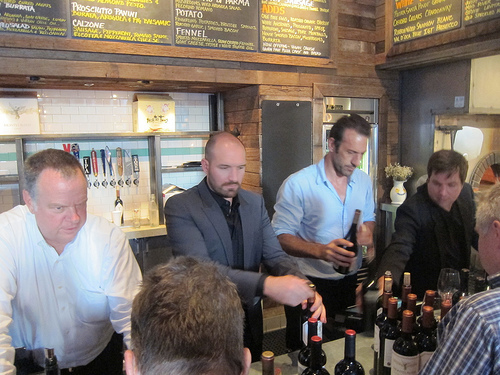 I was invited to a wine tasting with Chilean Montes Wines at Urbano Pizza Bar last month. It was a fundraiser for the Cystic Fibrosis Foundation. 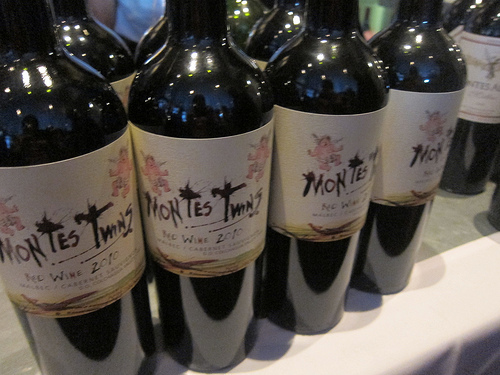 Montes Wines was donating part of the proceeds to the charity and was also accepting donations that evening. 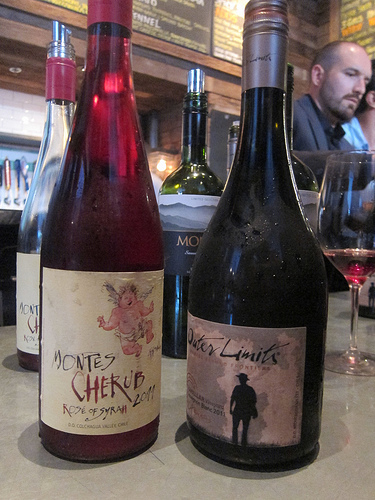 Founding Partner and winemaker Aurelio Montes was on hand and he started me off with Montes Cherub, a rose made from syrah grapes. I’m not normally a rose fan, like my cocktails and beer, I like wine with personality and bold flavor. I was immediately into this rose and would go back to it from time to time between tasting the others. Besides the Cherub, I was attracted to the Outer Limits (a limited edition Sauvignon Blanc). It was my second of the wines I tasted. It was bright but not too grassy, perfect for the warm summer evening. 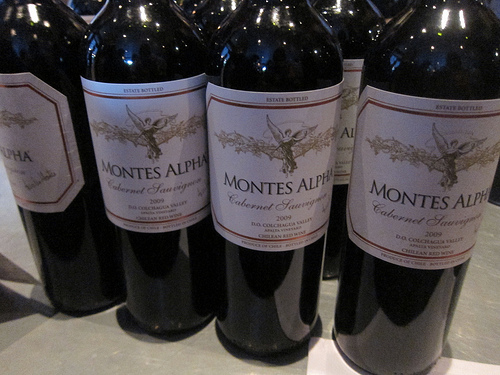 I also tasted the Montes Alpha Cabernet Sauvignon, Montes Alpha Malbec, Montes Twins Cabernet Sauvignon/Malbec. Being able to compare the three across at the same time was the way to go. I’m normally not much of a Malbec fan, preferring Cab Sauvs but blending the two into the Twins was perfect. You got the full-body wine like a Cab Sauv but the lip smacking tartness of the Malbec. I did taste the Montes Limited Selection Sauvignon Blanc. In comparison to the Outer Limits, I liked the Outer Limits better. Although both were from the same year, 2011, I thought the Outer Limits was more smooth. I’ll have to keep an eye out of the other varietals under the Outer Limits line including Pinot. There were two more available to taste this evening including the Montes Limited Selection Carmenere. Most of the crowd loved this one. I can see why with its silky finish. Then I tried the Montes Outer Limits Carmenere/Grenache/Mouvedre blend. I found it very interesting Montes is growing Carmenere grapes. 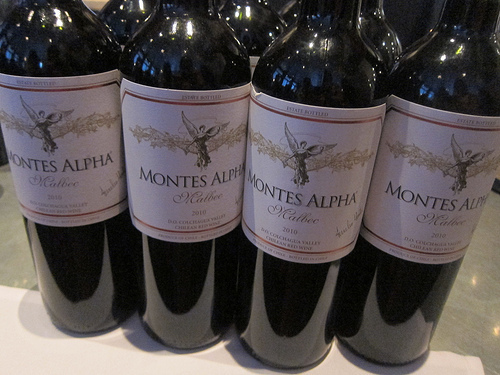 Aurelio Montes mentioned they were the only Chilean winery to do so. Now where can I get some more of that rose in LA? This entry was posted in alcohol education, alcohol tasting, history, la, los angeles, the minty, wine and tagged cabernet sauvignon, carmenere, chile, chilean wine, cystic fibrosis foundation, malbec, montes wines, outer limits, pinot noir, rose, sauvignon blanc, wine, wine tasting. Bookmark the permalink.